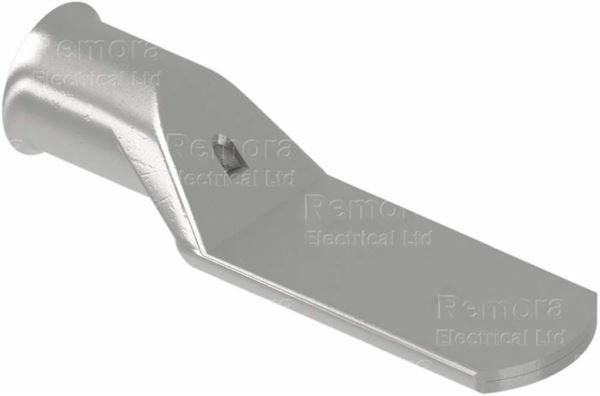 Long Palm Lugs are used for terminating onto bus bar systems or extended take off palms on contactors, MCBs, ACBs or where more than one stud fixing is required. Remora Long Palm Lugs are manufactured from precision drawn seamless copper tube to BS EN 12449:1999. All standard types in the range between 10mm2 and 240mm2 have bell mouth entries to ensure ease of entry, even with flexible conductors. All Copper Tube Lugs are tin plated to BS 1872 Part 2 for corrosion resistance and suitable for use up to 150°C. Nickel plated lugs are available for high temperature applications up to 343°C.